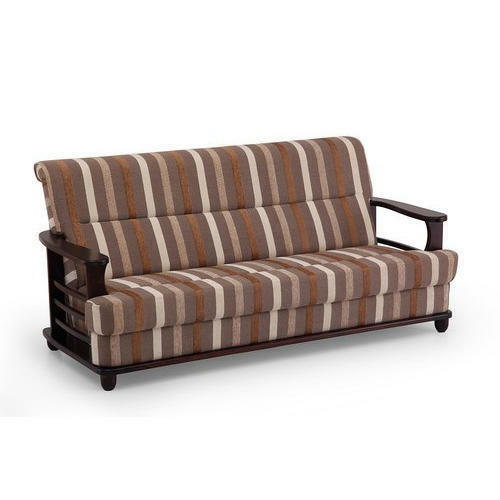 Owing to the affluent knowledge, we are capable to provide Wooden Sofa. Moreover, the presented series of products is properly checked on varied industry standards to make sure the longer life. Established in the year of 1980, Ajit Furniture House are engaged in manufacturing, wholesaling, retailing and trading of Wooden Bed, Wooden Bar Cabinet, Modular Sofa, Dining Table, Wooden Wardrobe, Wooden Temple and much more. These products are extremely praised in the market due to their superior quality, sturdy designs, superior finish, and well-built construction and reasonable prices. Our offered products are highly used in numerous places such as commercial, residential, restaurant hotel and college and many other places. Our products are manufactured under the supreme guidance of highly talented professionals who have enormous knowledge of this industry.